A competition for new footbridge design ideas has been launched by Network Rail and the Royal Institute of British Architects (RIBA). Entrants are asked to design fully accessible footbridges that can be used across Britain’s rail network and that further improve the legacy of rail pioneers. In developing their proposals, entrants are encouraged to consider how their accessible footbridge designs might be adapted for use in other settings, such as at level crossings. As part of the Department for Transport’s Access for All programme, Network Rail has installed 200 footbridges since 2006 to improve accessibility at railway stations. In total it owns almost 2,400 footbridges. The international competition is open to practising architects, structural engineers, civil engineers or teams thereof, together with students of these design disciplines. A £20,000 design fund will be awarded to the submission judged to be the best response to the challenges outlined in the brief. The closing date for submissions is September 18. Network Rail head of buildings and architecture Anthony Dewar said: “Footbridges provide a vital function enabling the public to easily access train services and serving as public rights of way. “Network Rail is committed to promoting design excellence. That’s why we’re challenging the architectural and engineering community to come up with new and innovative ideas for footbridge structures that will be both functional in form and sympathetic to the communities that they serve. Greater Anglia and Network Rail have refurbished and revamped the footbridges at some stations on the Southend Victoria Line including Rayleigh, Hockley and Rochford. 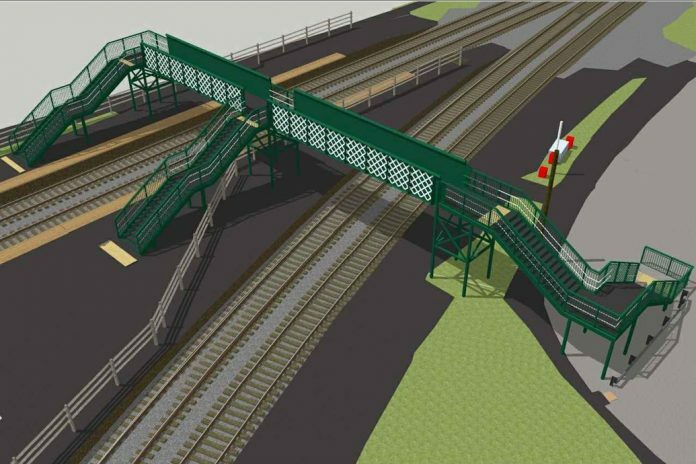 With footbridges to be refurbished at Wickford and Prittlewell. And to have LED lightings aswell at those stations. Aswell new LED information departure information screens at some stations.